Anyone who is interested in contesting the 2015 presidential elections does not have to fear locking horns with Rivers State governor, Rotimi Amaechi, because the governor has declared he is not interested in it. The governor said this yesterday at an interactive session with reporters. He said his only interest is in the development of the state and he can not be bothered by the rumours of his positioning for the post of president. 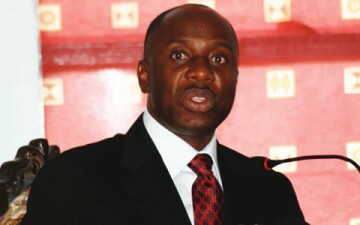 According to Amaechi, “I have no ambition for 2015. The future of Rivers people does not depend on 2015. I have never attended any meeting anywhere about 2015. The governor continued saying, “This worries me. I join you to ask that question; what is my sin? The court said they made a mistake, but that mistake has not been corrected. If the president is behind the people of Rivers State, we wonder why the government of the state saw a need to lump the presidency and the Bayelsa State government in the statement released recently to state its position on the oil dispute issue.